The 66th Berlin International Film Festival will be held for ten days beginning February 11, 2016 and among the films in competition will be MIDNIGHT SPECIAL, directed by Jeff Nichols. 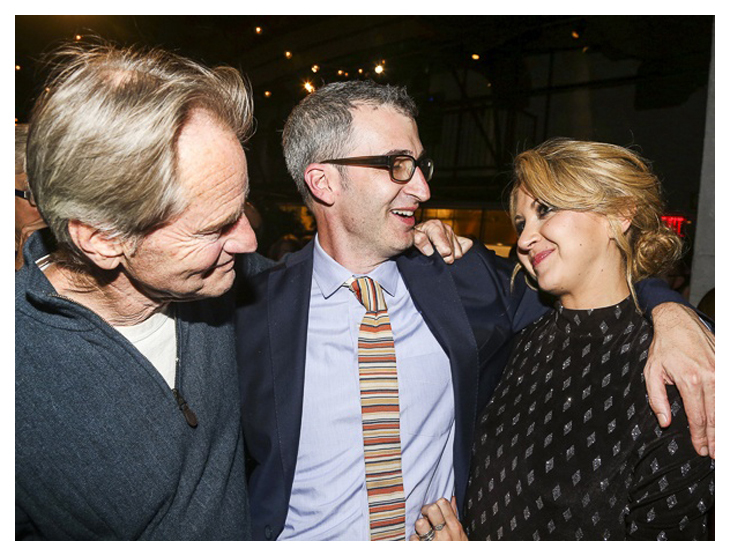 With the closing of FOOL FOR LOVE yesterday after a successful run on Broadway since early October, star Nina Arianda was asked, "What's the mostmemorable interaction you've had with Sam Shepard? She responded, "I'm so starstruck every time that I am around him…I passed out in my head every like five minutes…But one of the coolest moments I had with him, there's a moment before I kiss Sam [Rockwell] that I take his hat off and I put it down on the stool. And I had been putting it down the wrong way and he [Shepard] corrected me and said that you always have to keep the brim up because it's bad luck for cowboys if you put it down the other way. And it's not even written in the play. It's just another really wonderful detail that I wouldn't have known otherwise." Yup, he's a real cowboy. Love this old photo by Annie Liebowitz! Larry Pine, Rich Sommer, Paul Sparks and Nat Wolff will join the previously reported Ed Harris, Amy Madigan and Taissa Farmiga in BURIED CHILD. 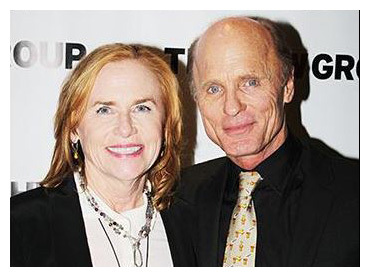 Directed by Scott Elliott, the Pulitzer Prize-winning play will begin previews on February 2, 2016 at the Pershing Square Signature Center’s Alice Griffin Jewel Box Theatre. Opening night is scheduled for February 17, with the limited engagement set to run through March 13. 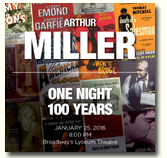 The Arthur Miller Foundation will celebrate the centennial of the playwright's birth with a starry benefit on Monday, January 25, 2016. The one-night gathering to raise funds for the Foundation's theater and film education programs will feature performances by several actors and will include Sam, Laurence Fishburne and Alec Baldwin. 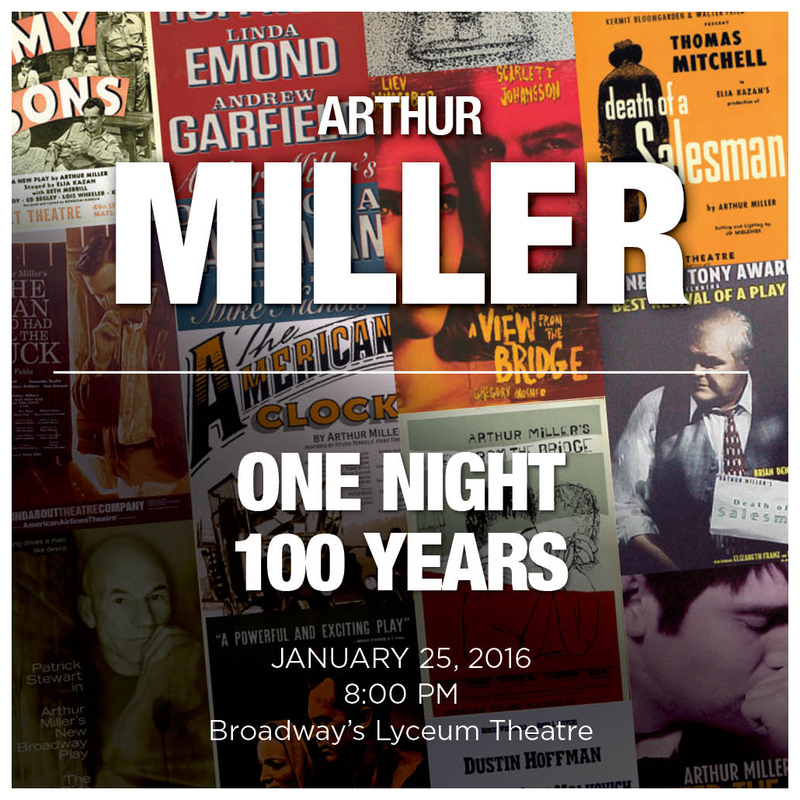 The performers will read excerpts from Miller's autobiography and his unpublished works as well as scenes from Death of a Salesman, The Crucible, All My Sons and more. The event will take place on the set of Miller’s A View From The Bridge, being revived at the Lyceum Theatre. 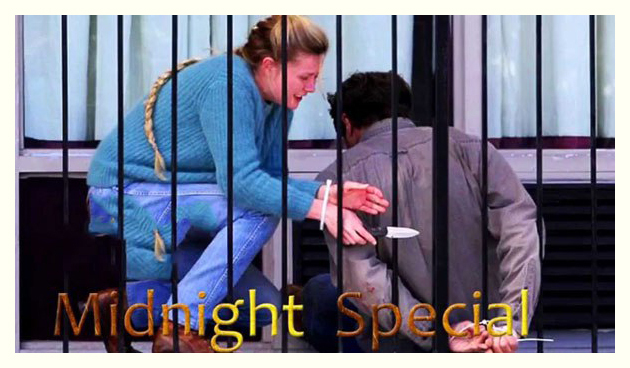 Jeff Nichols' MIDNIGHT SPECIAL has had almost no publicity since being shot in New Orleans almost two years ago. Distributor Warner Bros. pulled its November 25, 2015 release date and moved it to March 18, 2016. This week we finally get a look at this secretive production with a poster, one movie still and a trailer. This is what we know. Inspired by "Close Encounters of the Third Kind, "E.T." and "Starman", the film stars Michael Shannon as Roy, a father desperate to protect his uniquely gifted, eight-year-old son Alton. When the nature of those gifts is publicly revealed, the family is forced to go on the run from religious extremists and local law enforcement. Apparently, Sam plays one of these religious nuts. The cast also includes Kirsten Dunst, Joel Edgerton, Adam Driver, Jaeden Lieberher, Bill Camp, Scott Haze and Paul Sparks. You'd have to say that the poster gives off a very E.T.-ish feel. 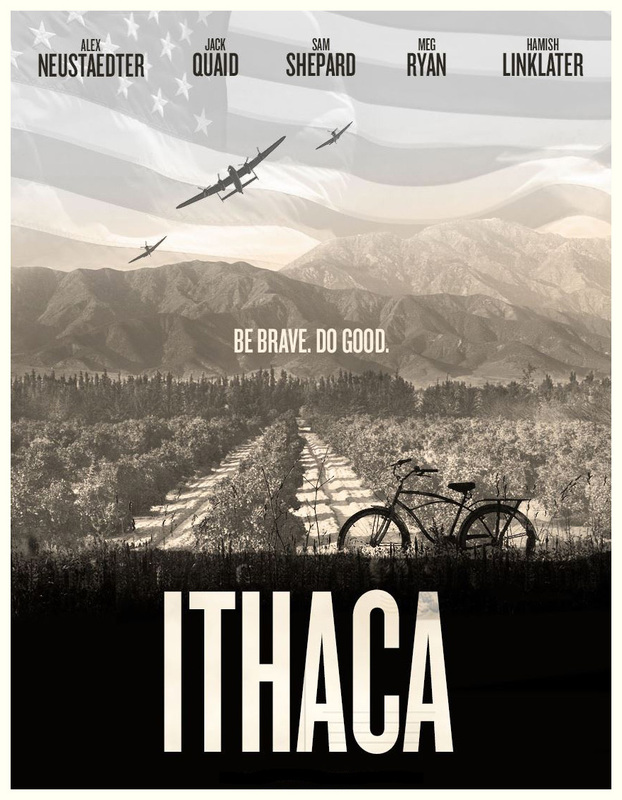 I assumed that Meg Ryan's directorial debut film ITHACA was having its premiere at the Virginia Film Festival next week but instead it received its world premiere at the Middleburg Film Festival (VA) a week ago. 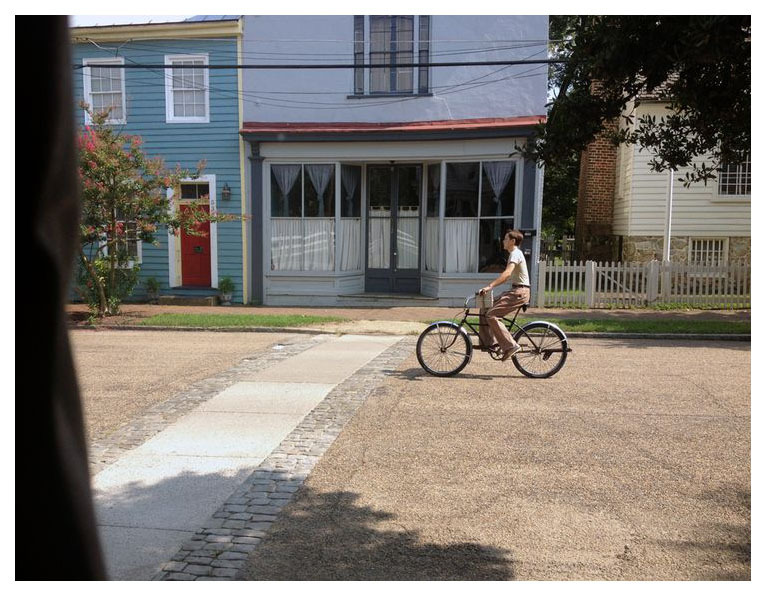 It was also screened at the Savannah Film Festival last night. With all of its dreadful reviews popping up, perhaps the film should be canned to save Ryan from further embarrassment. The critics appear to agree on the basics - too slow-paced, unfocused script, drab, lacks tension and clarity, shot too quickly (23 day-shoot), and weak performances. Perhaps her decision to also star in the film led to her biting off more than she could chew on her first time in the director's chair. The film still has no distributor. 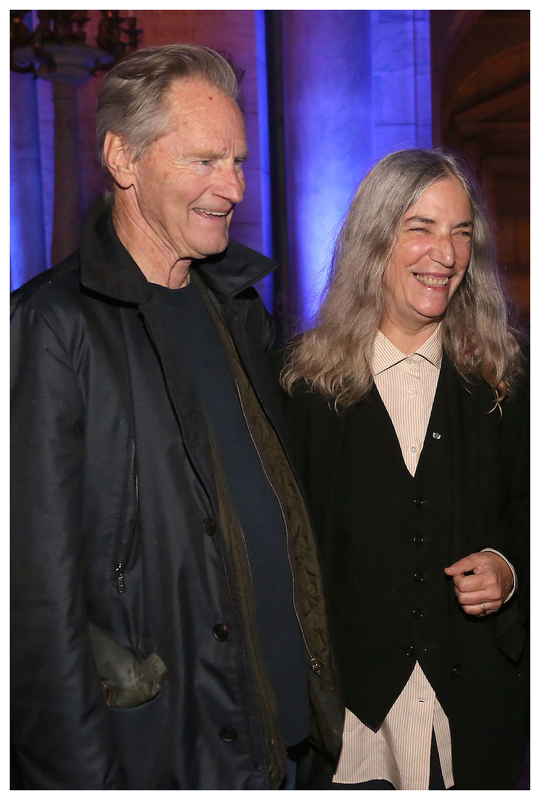 Patti Smith's new book, "M Train", is dedicated to our playwright, her friend of 45 years and the man who gave Patti her first guitar in 1971. It was a 1931 Gibson acoustic. "It’s not so easy writing about nothing," says the cowpoke that visits Patti Smith during a dream in the opening pages of her new memoir. 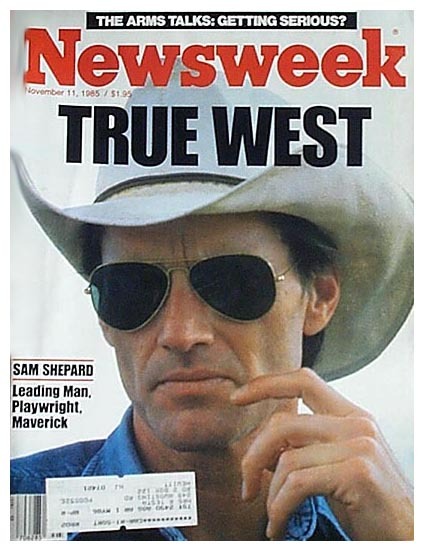 Some reviewers assumed that cowpoke is Sam Shepard and they were right. In an interview in Harper's Bazaar, Patti tells us, "One could say it's oneself talking to oneself. 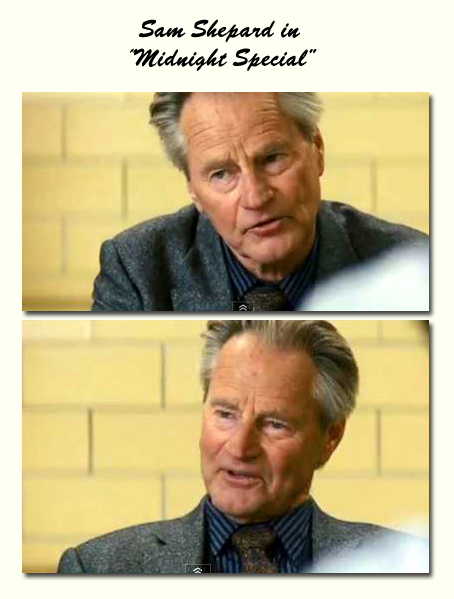 Or Sam Shepard. Because I've known Sam since I was 24 - like 45 years. Sam and I talk about books all the time. Some of these conversations with the cowpoke cross into conversations I've had with Sam. 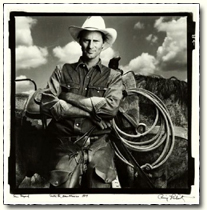 The cowpoke is sort of a voice of conscience." It has just been announced that the limited engagement of FOOL FOR LOVE will be extended for another week closing on Sunday, December 13, 2015. "Despite its desert setting, the first Broadway staging of Sam Shepard's 'Fool for Love' doesn't give off much heat... Arianda, miscast, remains trapped outside Shepard's imagination, looking in... It's Shepard at his most lyrical. But Rockwell and Arianda constrain the imaginative flights to bitter tableside confessions, tequila bottle close at hand. Fools for realism, these lovers never make it outside the motel room and into the vast night beyond." "First seen in 1983, the play is a compact yet rich work. It’s also a showcase for its leads. Daniel Aukin directs a well-paced production and guides the cast to juicy performances." "It’s been 15 years since any of Mr. Shepard’s plays were last seen on Broadway, and “Fool for Love,” which dates from 1983, had never been staged there until now. It’s a pleasure to be reminded of what he could do back in the days when he was turning out one exciting script after another." "Shepard’s first stage direction reads: 'This play is to be performed relentlessly, without a break.' Under Daniel Aukin’s direction, the pace seems much too measured, not even remotely relentless since much of the danger has been choreographed out of it." "Actors love this play, as do student audiences. And if laid-back Rockwell and body-conscious Arianda don’t quite have their acts together, Shepard is served well enough to satisfy his fan base." "Until its brilliant final 15 minutes, Aukin’s production doesn’t have that magnetic force. Arianda is vital and absorbing, Rockwell is easy in his body and forceful in his affect. He is also surprisingly good with a lariat. They kiss and punch and slam each other against walls and doors, which boom in Ryan Rumery’s neatly extravagant soundscape. But they often seem to be marking time." "The director, Daniel Aukin, strikes just the right notes of urgency and uncertainty; even if you've seen "Fool for Love" before, you feel as if you have no idea what's coming next. The play builds, thrillingly, to an off-stage fire that bathes the set in a warm red glow — and, indeed, if ever a production deserved the adjective 'combustible,' it's this one." "Although Arianda and Rockwell have the looks, the presence and the guts, there isn't the down-and-dirty chemistry that makes the fate of the lovers' long and conflicted relationship feel inevitable and dangerous. They seem more like beautiful roughhousing puppies than people caught in the push/pull torrents of a forbidden relationship." "The revelation for me was Rockwell, who sheds new light on Eddie, the rodeo stunt man who comes barreling back into May's life despite the impossibility of their love... Rockwell's performance never lets us forget that 'Fool for Love' is a dark and twisted comedy." "'Fool for Love' is classic Shepard: Family dysfunction, a Western setting and some dark and twisted stuff leading up to a big reveal (or two). It’s all handled with an enormous amount of skill and affection - the 75 minutes fly by, and we feel as if we know these folks intimately." "Anyone who’s ever slammed a door in anger will immediately recognize the hollow, stage-echo falseness of the two doors on the Fool for Love set—two doors that get slammed about once for each of the 75 minutes... The slamming, which produces a stereo boom you can feel in your organs, eventually becomes rote and numbing. As does much else in this staunch, uninvolving production, which features tempestuous performers in Nina Arianda and Sam Rockwell, but offers them not much more than glum platitudes on bad romance." "It may be that the lure for actors of such pungent roles explains the frequent 'Fool for Love' sightings. Indeed, it may be that Shepard's demanding work-out is more entertaining for the performers who get to take on Eddie and May than it is for anyone who gets to watch them." "Arianda and Rockwell pass down Shepard’s story in unexpected ways that are informed by their lionhearted fearlessness when it comes to failing. To understand Eddie and May is to understand that it’s nearly impossible to get those characters “right”; as written, they keep drifting, losing ground, walking away, or rushing toward emotions that Shepard treats like dunes of beautiful shifting Mojave sand." "We are in Shepard territory here; disaffection, alienation, familial bonds - all explored in the context of a region that has lost its romantic pull on our psyche...Those amped up doors are written in the stage directions by the way. However, amid all that sound and fury, there is not much in this play that resonates beyond some stylish writing and a chance for a quartet of fine actors to strut their stuff." "For 75 minutes, director Daniel Aukin and his flawless cast, led by a riveting Nina Arianda and a fiercely unsettling Sam Rockwell, deliver, never allowing themselves or the audience an uncharged moment." "Love as a battlefield on which nobody wins has seldom been mapped as thrillingly as it is in Daniel Aukin’s definitive revival of this bruising drama from 1983. That’s in large part because as the inexorably coupled May and Eddie, Nina Arianda and Sam Rockwell exude the sort of chemistry from which nuclear meltdowns are made." "In the revival, in a much larger theater that perhaps diminishes the flow of the characters’ feelings, the visceral energy – and sexual tension — is much lower, allowing us to notice how modest the play really is." "While there’s no denying their combustible chemistry, I couldn’t get past the impression that only Rockwell seems a natural inhabitant of Shepard country... May clings like a vine to Eddie one minute and then breaks their passionate kiss with a knee to the groin the next, but the desperation behind her push-pull instability in this production is unpersuasive. When Arianda shouts her love and loathing for Eddie while barreling in and out of her bathroom refuge, what we're watching is a miscast actor working very hard, undermining the pathos of a woman gripped by primal emotions she can’t control." "Rockwell brings layers of pain and anger and vulnerability to a role that could easily be paper thin in less capable hands. Arianda, the brilliant star of Venus in Fur from a couple of years back, is nearly his equal, but maybe because her part has less shading, or maybe because playwright Sam Shepherd gets men like Eddie better than he gets a woman like May, she’s standing in Rockwell’s shadow for most of the evening." "Daniel Aukin directs his cast with a firm hand, but unfortunately the problem here is not the acting or the direction; it is the vastness of the stage... After all the setting is a small, seedy motel room in the Mojave Desert. The expanse of the Friedman stage, or for that matter any Broadway theater stage, makes it lose its claustrophobic sensibility and, in the process, that desperate tension that is so essential to this play is lost." "Nina Arianda and Sam Rockwell have each demonstrated during their careers that they are fine actors but in this weak revival of Sam Shepard’s autobiographical romantic modern classic 'Fool for Love', they both lack the innate charisma to fully succeed at their roles as larger-than-life tempestuous lovers... Their performances are capable but are ultimately superficial in relation to the demands of this work... Due to this casting that’s not really achieved and so the 75 minutes are often sluggish." "On Broadway, Dane Laffrey's tiny, oppressive box of a motel room floats, pointlessly and unwanted, on the large Friedman stage, striking another unfortunate note of lifelessness. The set's being big enough to match its theater wouldn't solve all that ails this 'Fool for Love', but it might accentuate or promote the kind of urgency and claustrophobia that this rendition so desperately cries out for. After all, heat does tend to dissipate in too much space." 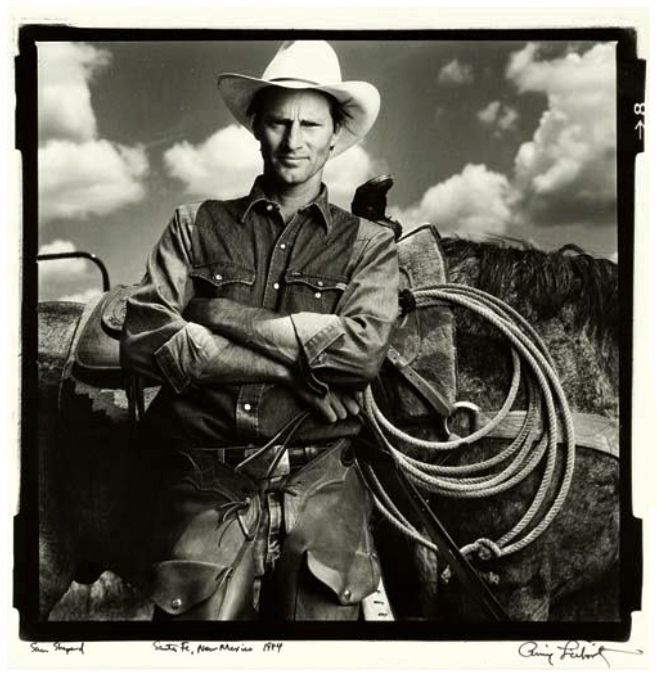 "Eddie, a well chosen Rockwell, is a lasso-circling, bow-legged, beaten down cowboy, who thoroughly understands and connects to all the deeper emotional turmoil as if he actually experienced every moment of the character...Arianda, on the other hand, although up to the task of the extreme physicality of the character looks great and appears desperate but seems a bit divested as May; she does a lot of screaming at high pitch levels but it feels more scripted rather than coming from deeper more agonizing emotions." "While the play lurches a little towards the end, Shepard weaves compellingly sad poetry out of the wasted lives of his characters, which this production makes real and vivid. And if it starts with a tableau, it ends in blackness, with the cycle starting again as the old man’s voice rings out plaintively in sudden, fierce dark." "Arianda may be the first actor to feature both arms and legs akimbo, and when she’s not working those long limbs, she’s running around on the set’s motel-room bed like a 3-year-old without her Ritalin… With Arianda offstage, it’s possible to notice Rockwell and Pelphrey, and to see that they’re embodying their respective characters with understated grace." 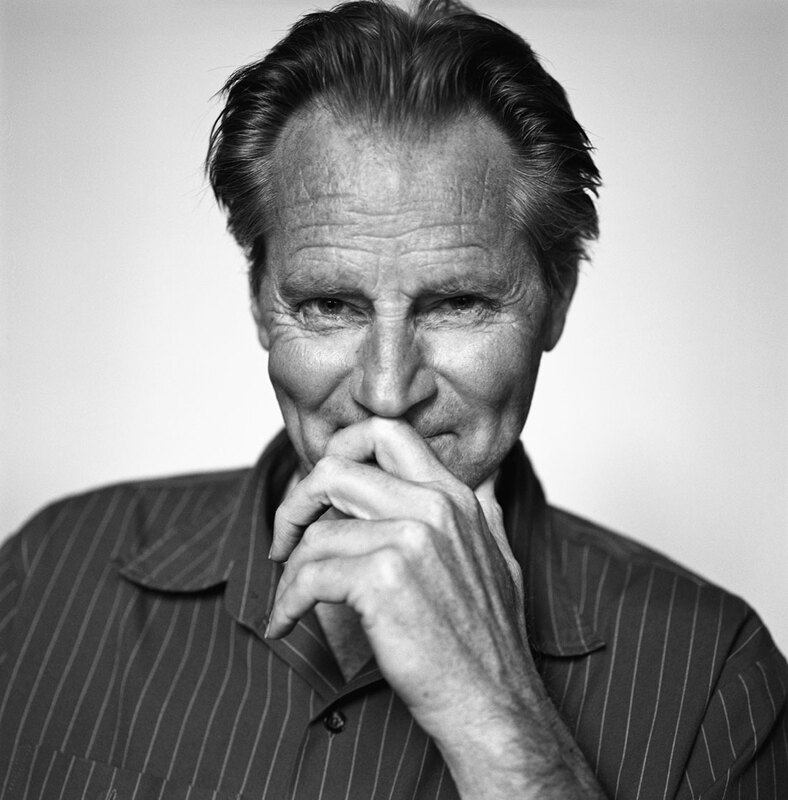 For good or for ill, Sam Shepard is the most objectified male writer of his generation. People who have little interest in theatre have found themselves drawn to it, and to him, in part because of his looks, especially during the height of his fame as a screen actor. Tall, slightly snaggletoothed, and eagle-eyed, Shepard always looked like America, or a movie version of America: one could easily imagine him playing Tom Joad or Abraham Lincoln. His Western drawl was an additional attraction. [Shepard admits] "I love the opening, in the sense that I couldn’t get enough of this thing between Eddie and May, I just wanted that to go on and on and on. But I knew that was impossible. . . . I had mixed feelings about it when I finished. Part of me looks at 'Fool for Love' and says, This is great, and part of me says, this is really corny. This is a quasirealistic melodrama. It’s still not satisfying; I don’t think the play really found itself." I've spent my entire adult life watching the stock of playwright Sam Shepard fall. 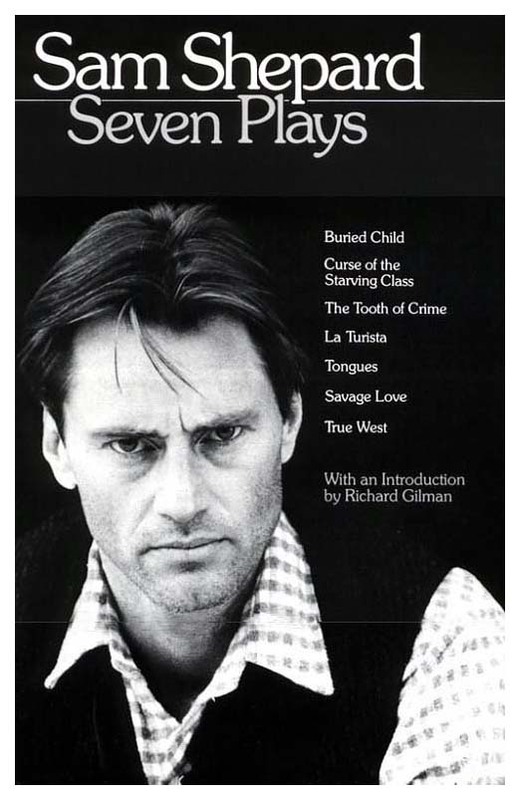 He was at his peak in the 1980s, with that iconic trade paperback of seven plays sporting his handsome mug on the cover. That compilation was just a blip on the radar for Shepard. He starred in the landmark film "Days of Heaven" in 1978. He won the Pulitzer Prize for his play "Buried Child" in 1979. He received an Oscar nomination for his great work in 1983's "The Right Stuff", a masterpiece by any measure. He co-wrote the Palme d'Or winner "Paris, Texas" in 1984, the same year that collection of plays became a fixture in bookstores around the world. No wonder he made the cover of Newsweek in 1985. The plays kept coming: about one every three years since Seven Plays was published 31 years ago. But cruelly for someone so acclaimed and clearly devoted to his craft, they haven't become part of the repertory yet, not really. "Buried Child" played Broadway for two months in 1996. A praised revival of arguably his best play "True West" had a five month run in 2000 and received three Tony nominations. 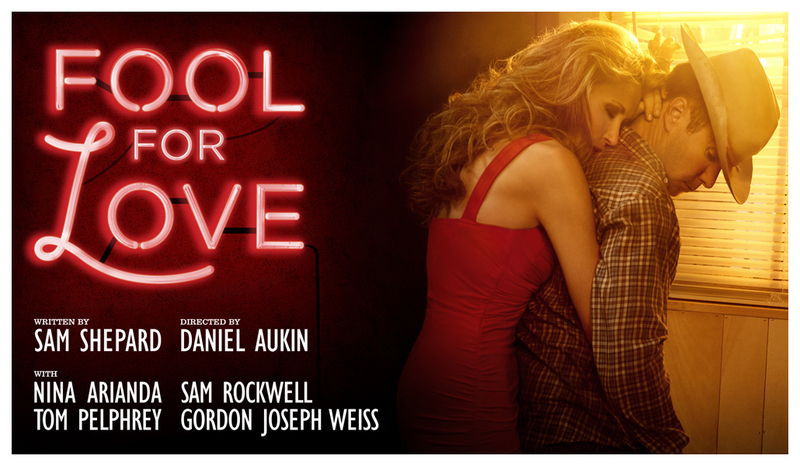 And now this revival of "Fool For Love" with Nina Arianda and Sam Rockwell. One play on Broadway in 1996, another in 2000 and now (finally) another in 2015. Shepard's new work has been seen at various venues Off Broadway to little success. Shepard is a terrific actor, an admirable artist and devoted to theater. I want to be a fool for his work... I just wish I had more chances to judge his work where it belongs: on stage. Surely this showcase for four actors is proof he's worthy of more attention. It may reveal flaws but that's better than not being seen at all. Overall, the reviews on this newest production were positive though the Village Voice criticized the casting of Nina Arianda - "As May, a bruised femme fatale chafing against the curse of a lifelong passion, Arianda rants and raves to little effect. Her wavering accent and showy tantrums don't express hard-bitten Western desperation so much as a drunken East Village Friday night." Personally, I think Ms. Arianda's professionalism as a respectable actress needs to be polished. Oh, that trashy mouth in interviews! 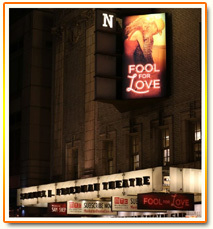 Theater critics are praising FOOL FOR LOVE after it opened on Broadway on Thursday night. The first photo shows Sam with director Daniel Aukin and the second with lead Nina Arianda. 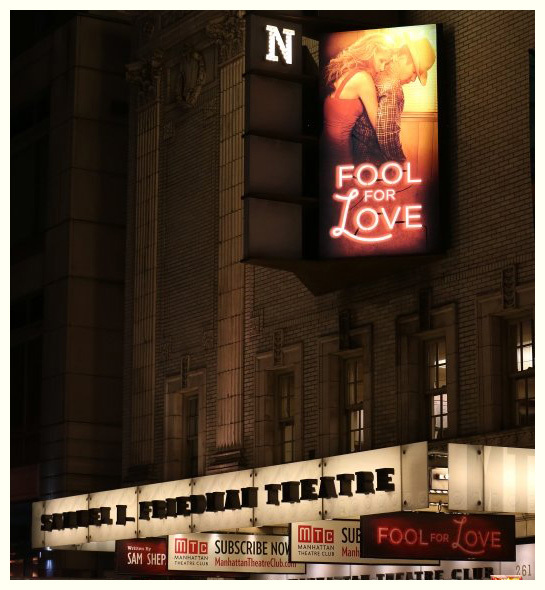 "Fool for Love" was first produced at the Magic Theatre in San Francisco in February, 1983, before moving to Off-Broadway at the Circle Repertory Theatre in May of that year. Sam himself directed these original productions, winning Obie Awards for his writing and directing as well as the award for best new American play. Critics gave the play mixed reviews. It can be summarized as primarily a struggle, mostly of words, between two lovers, Eddie and May. By the end of the play, it is revealed that this is an incestuous relationship between half-siblings. Some of the dissenting critics found the dialogue between them, especially at the beginning of the play, to be cliched. Others believed that Sam was covering territory and themes that he had dealt with to better effect in plays such as "Buried Child" and "True West". Critics who praised the play found the character of May to be one of his first strong, autonomous women. Some critics also found the device of the Old Man, a ghostlike presence on stage, to be very effective. Most critics agreed that with this new play, Sam continued his exploration of the mythic American West. As Frank Rich wrote in the New York Times, "'Fool for Love' is a western for our time. We watch a pair of figurative gunslingers fight to the finish, not with bullets, but with piercing words that give ballast to the weight of a nation's buried dreams." 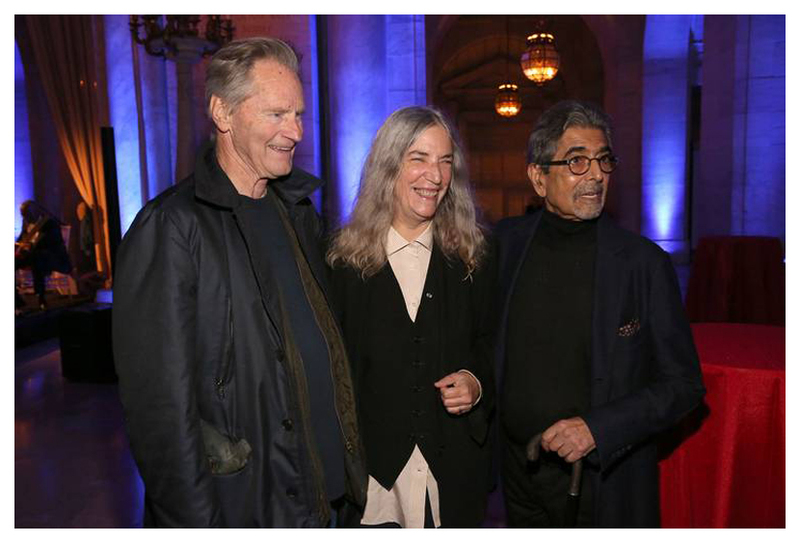 Hundreds of guests filled Astor Hall at the New York Public Library on Thursday evening to celebrate Alfred A. Knopf’s centennial anniversary. 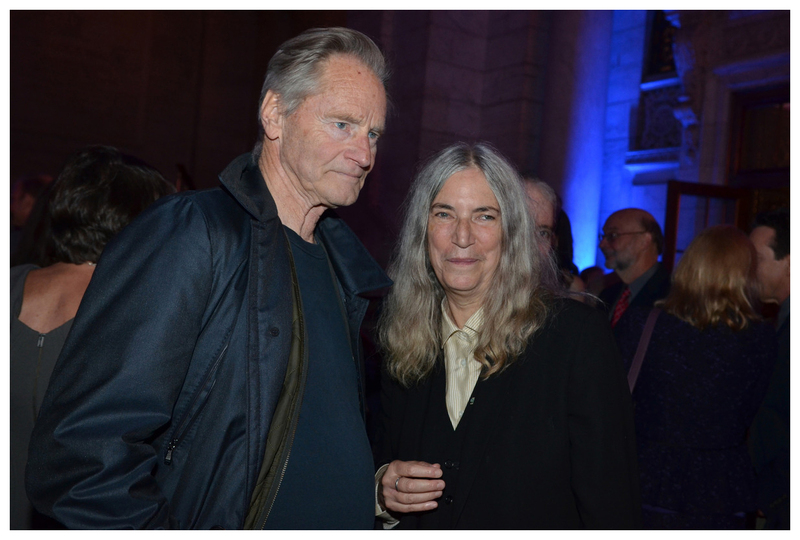 Inside the majestic hall, famous folks from the literary world chatted, sipped wine and cocktails and nibbled a variety of appetizers in honor of Knopf’s 100th birthday. 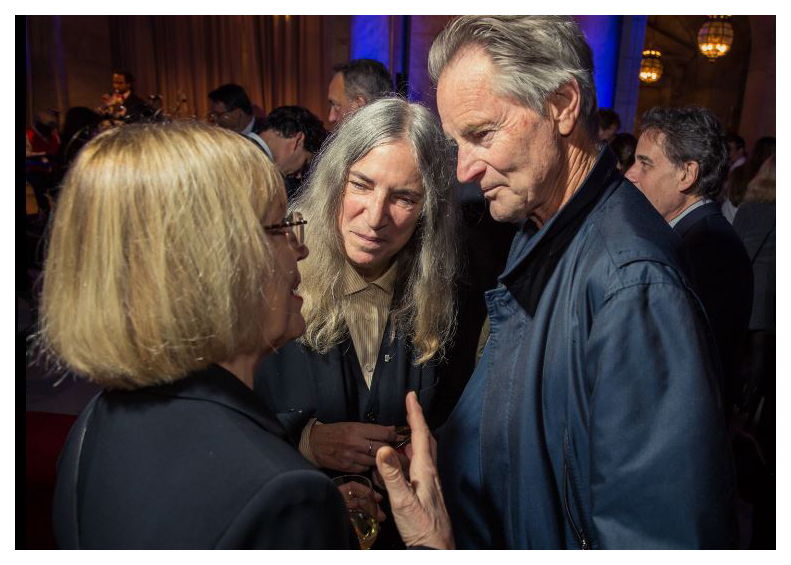 Among the many guests were our playwright, his pal Patti Smith, Michael Ondaatje, Toni Morrison, Judy Blume, Jay McInerney and Charlie Rose. 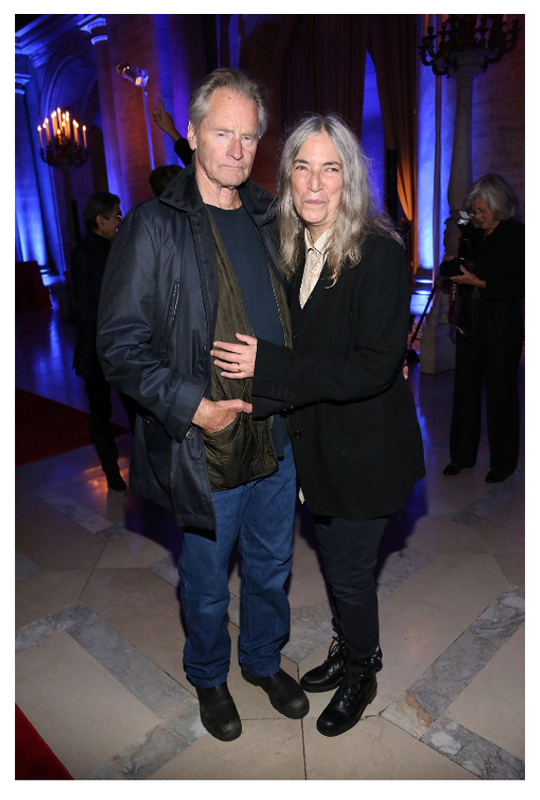 Sam admits he’s never read Patti Smith’s memoir "Just Kids" but has read her latest book, "M Train." It seems he's working on his own memoir even though he said he would never write one. Plus he's supposedly working on another screenplay. The plight of actress Meg Ryan's directorial debut is coming to light as the US release date for ITHACA disappears and shows up next year in Turkey (of all places!). My guess is that this movie will go directly to a DVD release in the states. 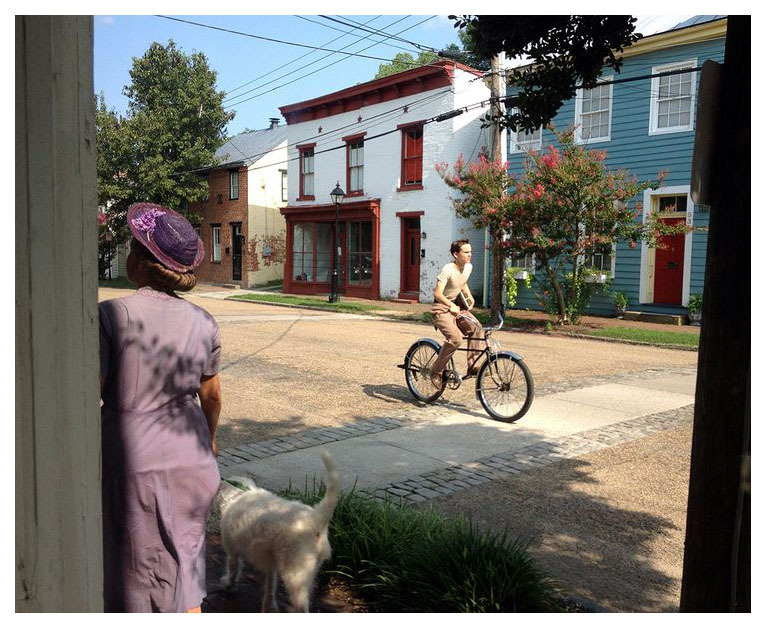 Production, which took place outside of Richmond, Virginia, began in July 2014 and there has been little publicity from the start except for the fact that Tom Hanks joined in as executive producer and signed up for a cameo. 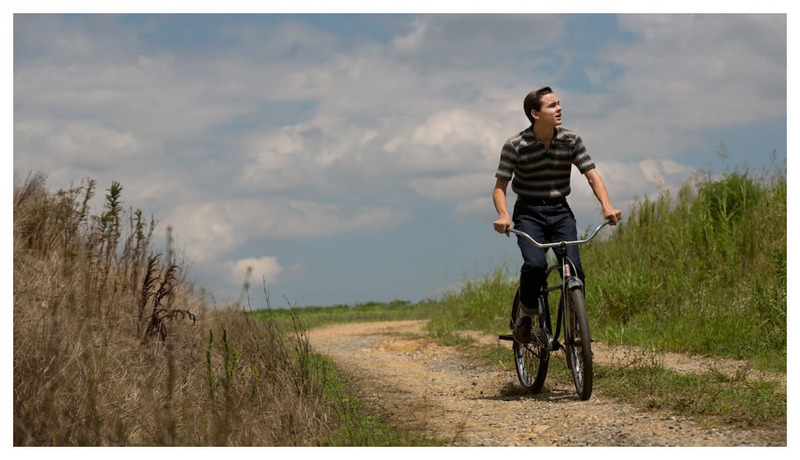 The film is based on William Saroyan’s 1943 novel, The Human Comedy, a coming-of-age story about a 14-year-old boy in 1942 working as a bike messenger who delivers messages that are often about the casualties of war. Ms. Ryan will also play Mrs. Macauley with Alex Neustaedter as her son Homer. Meg's real-life son Jack Quaid will take on the role of older son Marcus. Sam plays the alcoholic telegraph operator Willie Grogan. The Virginia Film Festival, scheduled for November 5-8 in Charlottesville, will include a screening of the film with its director in attendance. 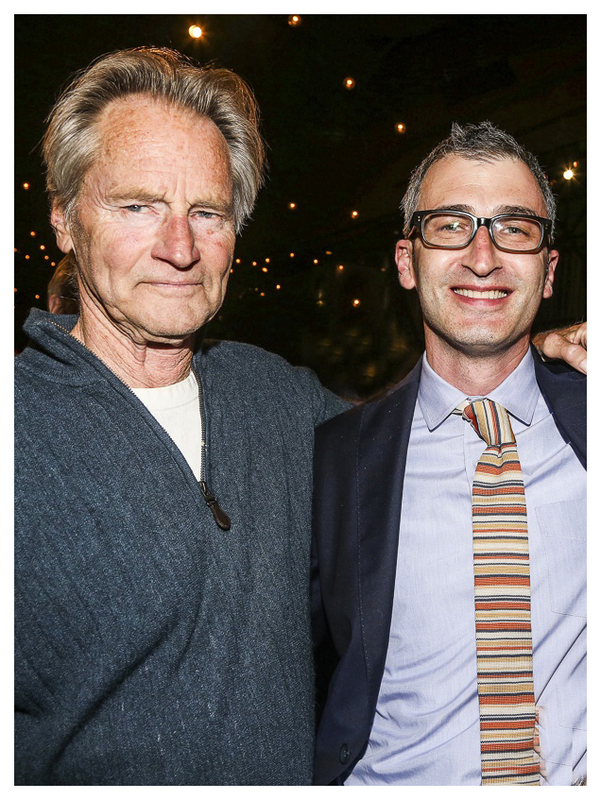 Bloomsbury Publishing has announced a new book called "The Late Work of Sam Shepard". Written by Shannon Blake Skelton, the book will be published on April 21, 2016. At 288 pages, it costs $92.99, a price perhaps only colleges and universities can afford. 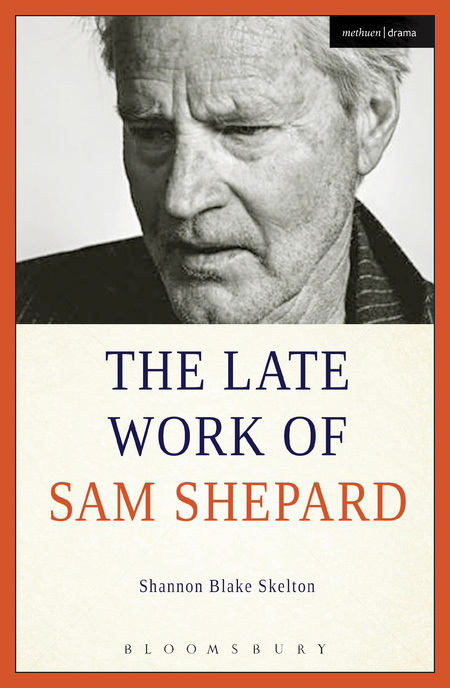 The description reads as follows: "Hailed by critics during the 1980s as the decade's 'Great American Playwright', Sam Shepard has since continued to produce work in a wide array of media including short prose, films, plays, performances and screenplays. Like Samuel Beckett and Tennessee Williams in their autumnal years, Shepard relentlessly presses the potentialities and possibilities of theatre. This is the first volume to consider Shepard's later work and career in detail and ranges across his work produced since the late 1980s. Shepard's directorial debut Far North (1988) served as the beginning of a new cycle of work. He returned to the stage with the politically engaged States of Shock (1991) which resembled neither his earlier plays nor his family cycle. With both Far North and States of Shock, Shepard signaled a transition into a phase in which he would experiment in form, subject and media for the next two decades. Skelton's comprehensive study includes consideration of his work in films such as Hamlet (2000), Black Hawk Down (2001), The Assassination of Jesse James by the Coward Robert Ford (2007) and Brothers (2009); issues of authenticity in the film and screenplay Don't Come Knocking (2005) and the play Kicking a Dead Horse (2007); of memory and trauma in Simpatico, The Late Henry Moss and When the World was Green, and of masculine and conservative narratives in States of Shock and The God of Hell." 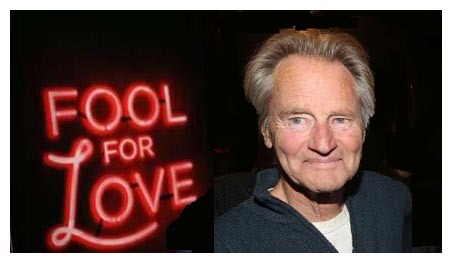 As previously reported, FOOL FOR LOVE, will be coming to Broadway this fall. The summer production staged at the Williamstown Theatre Festival in MA last year was such a success that the Manhattan Theatre Club's Samuel J. Friedman Theatre snatched it up. Directed by Daniel Aukin, the leads will again be played by Sam Rockwell and Nina Arianda. Performances will begin on September 15 with opening night set for October 8. The story goes like this - "Holed up in a seedy motel on the edge of the Mojave Desert, two former lovers unpack the deep secrets and dark desires of their tangled relationship, passionately tearing each other apart. Beaten down by ill-fated love and a ruthless struggle for identity, can they ultimately live with, or without, each other?" I suspected that there was a problem with the latest film by Jeff Nichols since there was still no publicity with a November release date approaching. 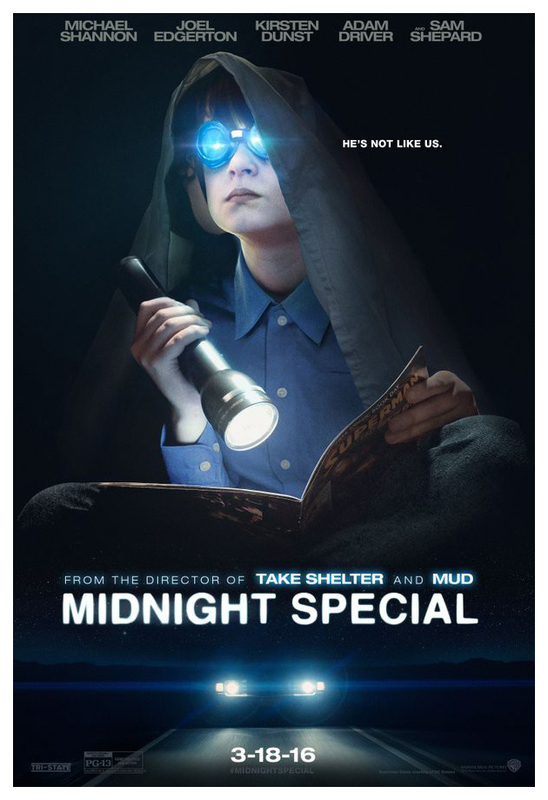 Warner Bros. has announced it has moved MIDNIGHT SPECIAL to next year with a March 18th premiere. 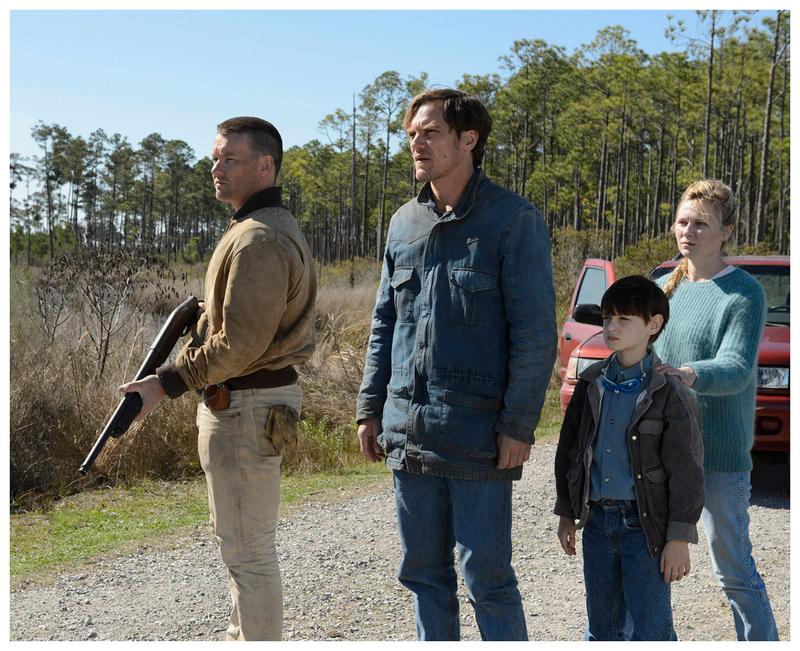 The sci-fi film stars Michael Shannon as a father who goes on the run from religious extremists and local law enforcement in order to protect his young son (Jaeden Lieberher) and uncover the truth about the boy’s special powers. The ensemble also includes Joel Edgerton, Kirsten Dunst, Adam Driver, and Sam. The film marks the first studio project for Nichols, who directed from his own script.